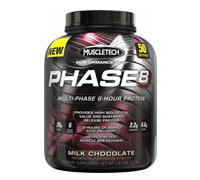 Other Ingredients: Protein Blend (Milk Protein Concentrate [Supplying Calcium Caseinate and Whey], Whey Protein Concentrate, Micellar Casein, Calcium Caseinate, Hydrolyzed Whey Protein Isolate, Whey Protein Isolate), Maltodextrin, Taurine, Alkalized Cocoa, Glycine, Natural and Artificial Flavors, Sunflower Based Creamer, Salt, Guar Gum, Sucralose, Ascesulfame Potassium. Directions: Mix 1 serving (1 scoop) with 7 oz. or mix 2 servings (2 scoops) with 14 oz of cold water or skim milk in a glass or shaker cup. Use between major meals and after exercise. Drink 8 to 10 glasses of water daily. For maximum results, consume 4 scoops daily for a minimum of 6 weeks. Warning: Do not use if pregnant or nursing. Consult a medical doctor before starting any diet or exercise program. Discontinue use and consult a medical doctor if you experience unusual symptoms. Do not use if packaging has been tampered with.